Slaves from Africa , exotics from the far east , and the words of the Prophet himself flow through the Indian Ocean. 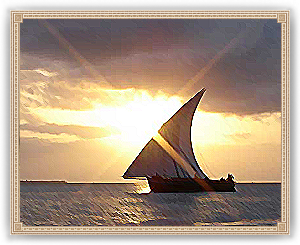 Arab and Indian traders reaped great wealth sailing their dhows along the coast of the Indian ocean and so shall your empire. But beware for just as great wealth flows from the waters of the Indian Ocean so too lurks the dangers of the Far East, make sure to keep an eye on the number of rats on board your ships..... This building represents a large investment in sea trade in terms of infrastructure , merchant ship construction and trade agreements occurring along the Indian Ocean. By encouraging trade and protecting merchents from pirates you stand to make a large profit from taxes and tariffs. Vast is the Indian Ocean and vast shall be the wealth you acquire.